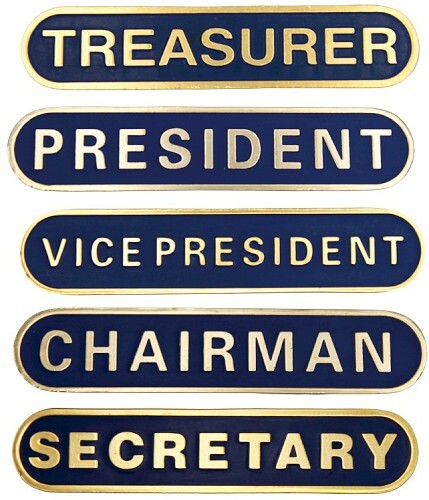 Enamel metal badges, all with a safety pin on the reverse, available with the following text only: Committee, Secretary, Treasurer, President, Vice Chairman, Chairman and Vice President. Please note we can do customise badges, a minimum order of 50 is required @ 4.99 each, call for details. Metal badges for clubs and schools.